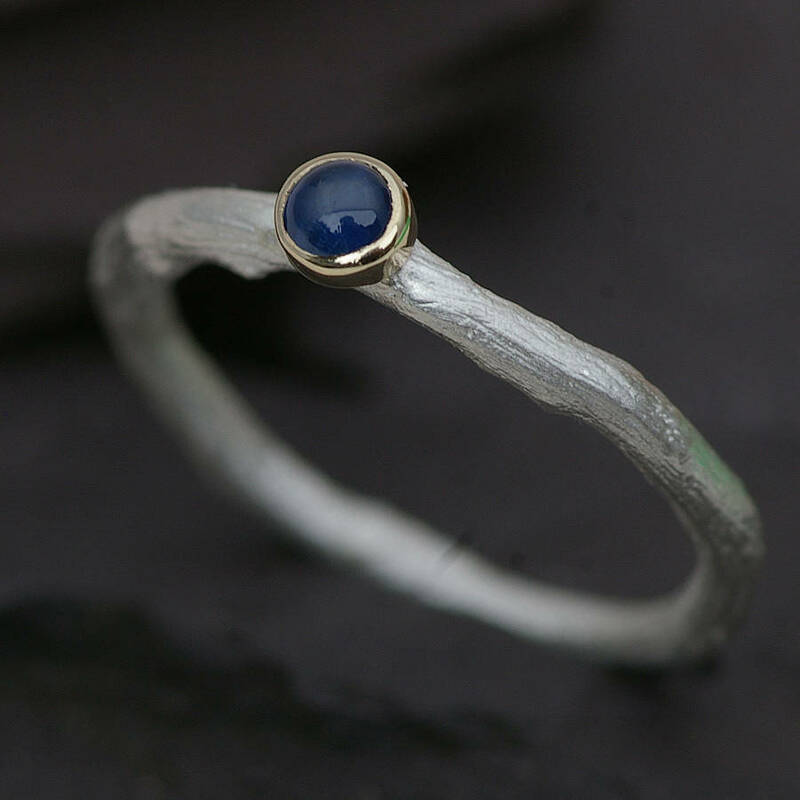 This ring has been made with a strand of textured sterling silver, which has been made by taking a piece of rose root,and making an impression of the grain. The genuine sapphire has been set into a rim made of gold,and the sapphire has been chosen for its brightness. 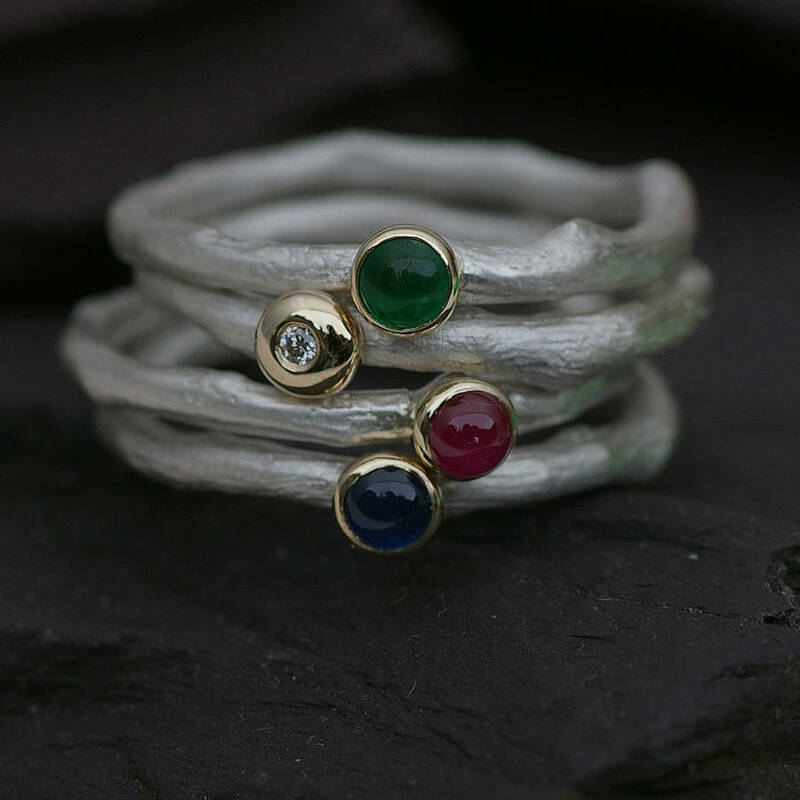 Designed as a stand alone ring,it can also be added to other rings in the image,to form a stack.